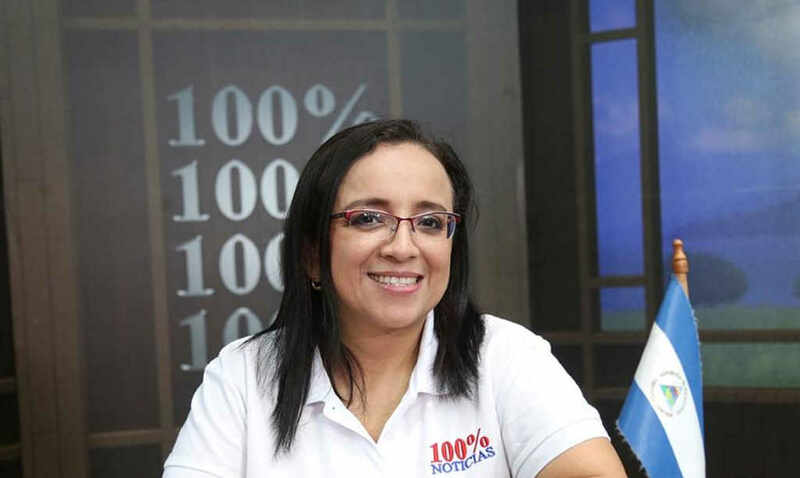 Lucia Pineda, a dual citizen and managing editor of cable news television station 100% Noticias, is accused by the government of Daniel Ortega for the “provocation, proposition, and conspiracy to commit terrorist acts” and of inciting hate for the national police, according to a Nicaragua court document. Pineda, who has dual citizenship, Nicaraguan and Costa Rican, is currently in pretrial detention. 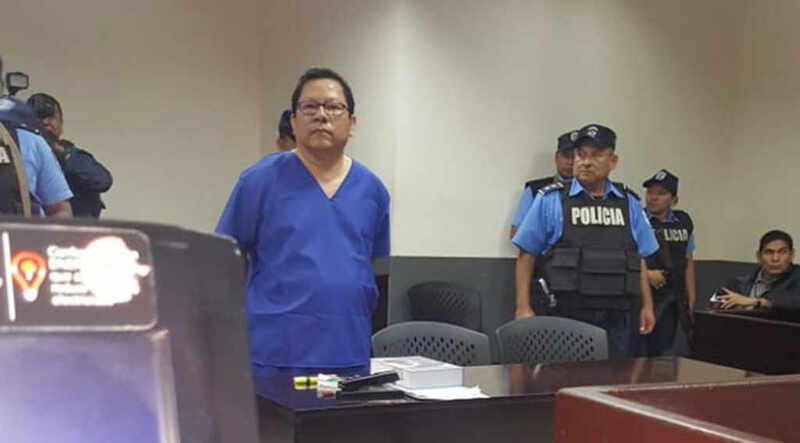 100% Noticia’s president, Miguel Mora, appeared in court Saturday morning wearing a blue prisoner’s uniform and was formally accused of similar crimes. The document alleged that Mora, through the 100% Noticias channel, incited hate with messages and “fake news” that purportedly provoked people to violent acts in protests this year that have demanded Ortega’s exit from office. The cable news channel was at the forefront of covering the anti-government protests that began in April. Mora’s wife, Veronica Chavez, who is also a journalist, accused police at a news conference of carrying out a “kidnapping of her husband on orders of the dictatorship of Daniel Ortega and (first lady and Vice President) Rosario Murillo”. Mora, Chavez and Pineda were arrested in a police raid Friday night in which agents also took control equipment from the station. The channel went off the air, and the national broadcast regulator issued a statement banning cable operators from carrying its signal. Chavez and four others were also arrested, she was the only one to be freed hours later. The 100% Noticias station had previously been forced off the air for over 10 days in April before being allowed to resume broadcasting. At least 325 people have been killed in the protests that began mid-April, and the Nicaragua Center for Human Rights says some 565 people have been jailed. Thousands more have fled the country in self-imposed exile. In Costa Rica, some 40,000 Nicaraguans have filed for refugee status. Ortega, 73, alleges that the protests were part of a coup plan to topple him. Opponents accuse him of increasing authoritarianism, of ordering the deadly protest crackdown by police and armed, pro-Ortega civilian groups, and of harshly persecuting government opponents. 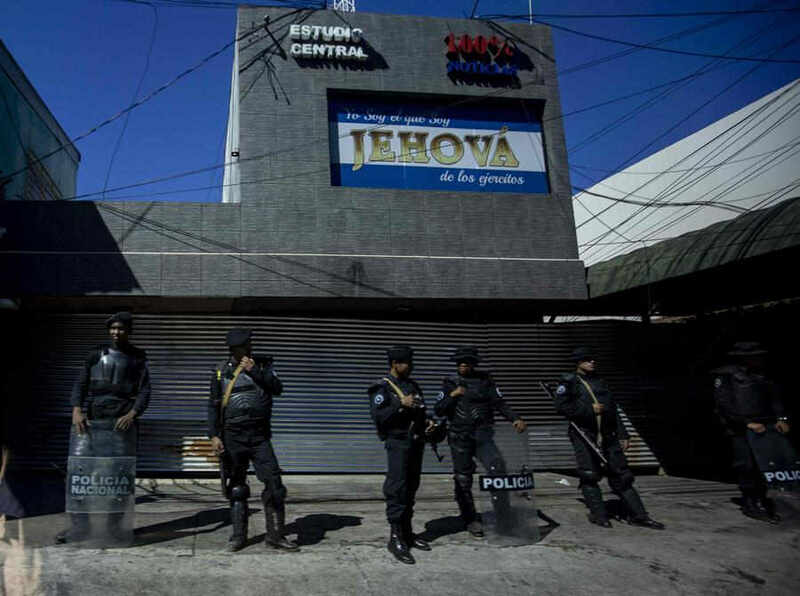 While the demonstrations dissipated following the tough response, recent days have been tense for Nicaragua as the government targeted opposition voices despite criticism from abroad. On December 14 police raided the offices of Confidencial, Revista Niú, Esta Semana and Esta Noche. Then on Wednesday, Ortega’s government expelled two groups of experts sponsored by the Organization of American States (OAS) who were investigating and monitoring alleged human rights abuses by security forces during the protests. On Friday in Washington (USA), those experts urged the international community to act on Nicaragua. Also Friday, U.S. President Donald Trump signed into law the Nica Act, a bill cutting off resources to Ortega’s government and putting sanctions against countries that assist Nicaragua. “The other nations of the planet can intervene and judge,” Argentine expert Pablo Parenti said, citing what he called “crimes against humanity for murder, incarceration and persecution”. Condemnation of the move against 100% Noticias came from abroad on Saturday and Sunday, including from freedom of expression officials at the United Nations and the Inter-American Commission on Human Rights (IAHCR). 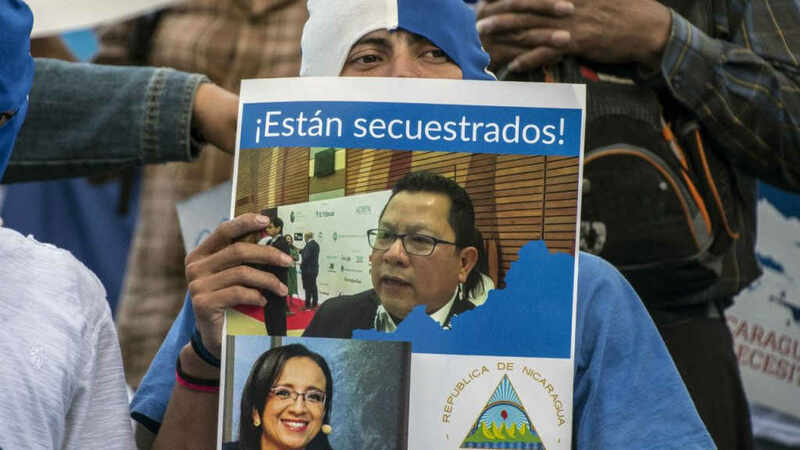 The New York-based Committee to Protect Journalists urged Nicaraguan authorities to release the arrested journalists and “end their repressive campaign against the independent media”. And the Inter American Press Association (IAPA) called the Ortega government’s actions “a serious violation against the freedoms of expression and the press”. 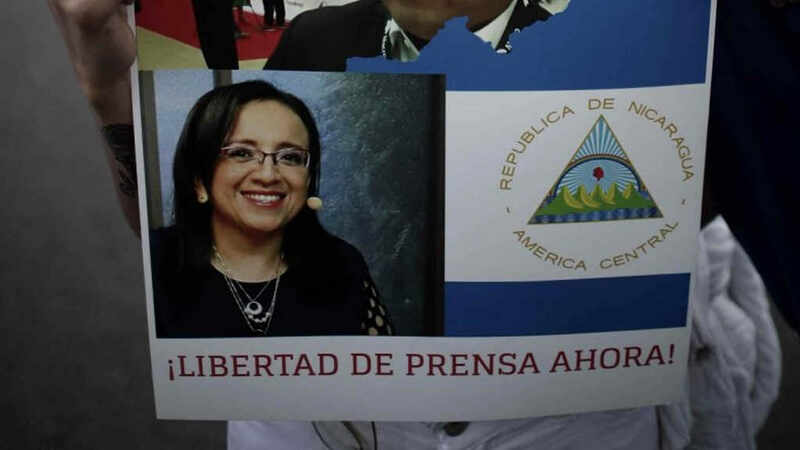 “The Ortega regime shows with this action its intention to close all forms of expression in the country,” said María Elvira Domínguez, president of the Inter American Press Association (IAPA) and director of the newspaper El País in Cali, Colombia, according to Today Nicaragua. “We express our deep support and solidarity with Mora and the independent media and journalists in Nicaragua who suffer persecution and violence for exercising their sense of responsibility and freedom,” said Domínguez. Today Nicaragua, FRANCE 24, AP and AFP.